You may have seen the recent announcement of the launch of the Digital Scholarship (DS) Lab. 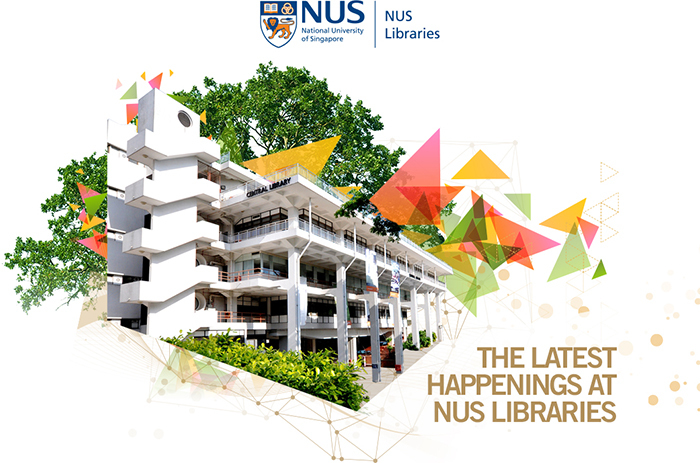 The DS Lab received a warm “housewarming” from the Alumni Leader’s Forum as well, when they came by to learn about the new and emerging technologies NUS Libraries are implementing. Situated on the 4th level of the Central Library, just a few steps from the entrance, the DS Lab was opened in April 2018. It begins as a prototype as we seek to tailor its evolution according to the needs of our digital scholarship community. The DS Lab is maintained by the Digital Scholarship team, which has also been involved in research projects with NUS departments. 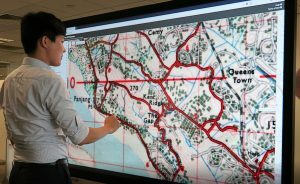 Exploring GIS data on the touchscreen monitor. So what is “digital scholarship”? Scholars and practitioners have suggested that “digital scholarship” is still taking form and in this phase it may be best for this term to remain unconstrained by fixed definitions. Nevertheless, we take reference from this actionable scope: “the use of digital evidence and method, digital authoring, digital publishing, digital curation and preservation, and digital use and reuse of scholarship” (Abby Smith Rumsey, Page 2 of Scholarly Communication Institute 9: New-Model Scholarly Communication: Road Map for Change, PDF). By creating capacity for the critical engagement with emergent digital scholarship, we seek to advance NUS’ mission of transforming the way people think and do things through education, research and service. The DS Lab is a discipline-neutral space for staff/students working on humanistic research projects that involve digital methods such as computationally-intensive processing and visualisation. Coupled with the DS Portal, NUS Libraries offers resources and facilities in both the virtual and physical spaces to NUS researchers and students. 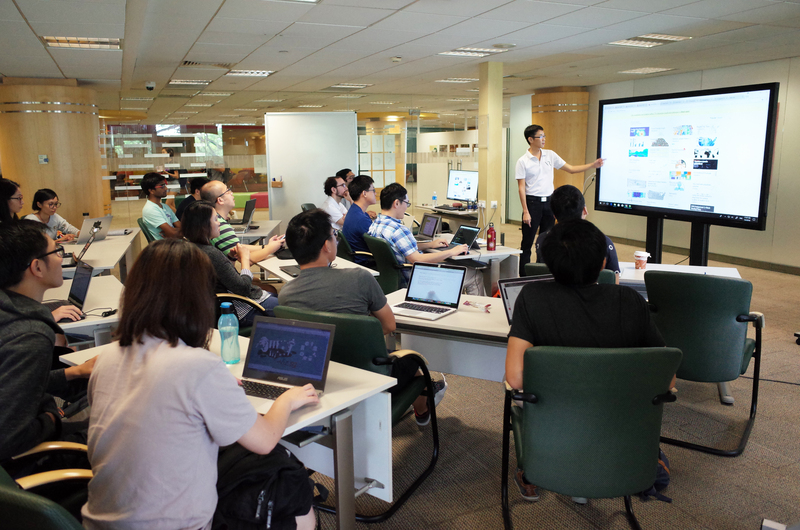 Both the DS Lab and DS Portal work hand-in-hand as infrastructure to support digital scholarship programmes, to help enrich our NUS community or provide networking opportunities, in the form of workshops, talks, reading groups, symposiums and more. Given the broad scope of digital scholarship, we seek to build meaningful partnerships with relevant specialist entities in NUS to achieve a common goal of advancing digital scholarship in our community. 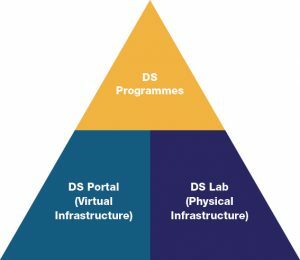 If you are interested in learning more about the facilities in DS Lab, or wish to use a space within the Lab for your project, click here for the application form.